The recent narrative that has bubbled up on reddit is that the Imperium are bad, bad, guys. Sion said some terribly undiplomatic things about reddit, and reddit right now is serving as the clearing house of EVE information. It has resulted in a media war. What I find interesting is the various arguments about the Imperium, TheMittani.com, and the state of the game. What is it like for someone to have built Rome in the sandbox? 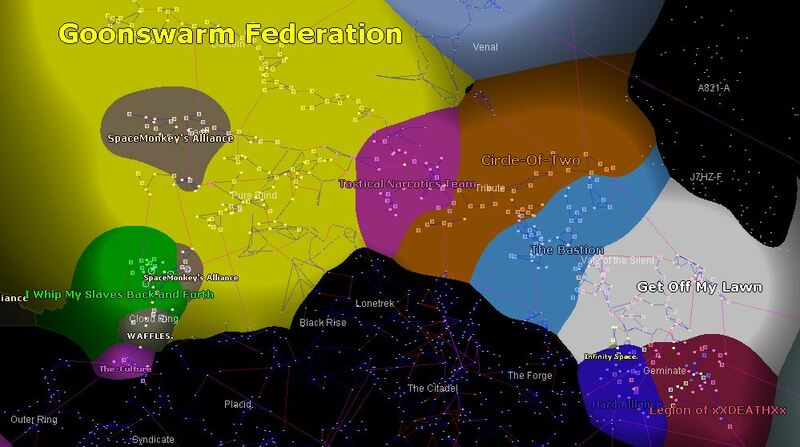 The Imperium has attained a kind of hegemon state. They are the biggest block by far. Their member base makes up roughly half of the 0.0 playerbase. It is not politically feasible at this point to expect everyone else to form a major coalition to fight them. Every single other group in EVE would have to set aside their differences and work seamlessly together to stand a chance. It is a peculiar kind of hegemony, because their influence does not reach all the way across the rather large map. However, it is unassailable in any kind of short time period. This is the environment that players of all sorts look to when they evaluate the game. They see a kind of Roman Empire, and the only competition is provided by petty city states and a few barbaric hordes. Contrast this with the Halloween war, which saw a two polar world, a time where it felt like the cold war gone hot. Or to keep with the Roman analogy, the Halloween war was the Punic war. Contrast the current state with times past, where several blocs of seemingly equal potential jockeyed against one another. The characteristics that define this stage of the game are as follows: In the past, a decent group could hope to rise to the heights of power based on their own merits, but no more. Now they have to have the right friends and the right politics. Battles and wars raged hot. Now the order is highly stratified. Wars are minimal and not a matter of existential threat to the empire. Competition is still fierce, perhaps as tough as it has ever been, but increasingly it comes to politics rather than space lasers. There are places far from the influence of the Imperium, but the political structures formed out there are pale imitations of the order and might of the dominant group. When people log into the EVE server they become roleplayers in so much as they are setting goals for themselves that do not have benefits beyond the game world. The burning question here can be stated as “Is the Imperium’s existence is good for the game?” When we ask that question, we mean, at least in part, “Is this an environment that people will enjoy roleplaying in?” Would you be happy living as a legionnaire in one of the armies set to guard the border? Would you find thrills in serving as a senator of the empire? Would you thrive in the political intrigue near the emperor’s inner circle? Would you enjoy glory as a gladiator entertaining the public? Could you conquer far territories as a “viceroy”? How would you react to the challenge of being a Germanic tribesman at the edge of the empire? Would you ride with the barbarian hordes to sack cities and crush lesser civilizations? Would you bring your unwashed masses to the very gates of the empire to raid across their borders? This may seem a little silly, but this is not a joke. EVE is a sandbox. There is not one right way for the sand to be arranged in the box. As far as I am concerned, the glory days of the Roman Empire are a fine thing to emulate. The political drama is as good as ever. Gobbins’ ruse cruise and Endie’s leaks are perfect examples. Combat is different, but it still happens constantly. The only problem would be if stagnation won out and nothing ever changed, but that is far from the case. Imperium members regularly taunt outsiders that they should all form up and attack the empire. Outsiders tell Imperium members that they should disband to get ‘content.’ Both groups talk past each other, demanding action from the other party that is not in that party’s own best interests. Let me unpack this a little bit. Imperium members would love nothing more than watching a rag-tag selection of idiots file onto a field somewhere and raise a banner against the Imperium. Preferably the more idiots the better, and all in one place with a fat target on their back. Then the Imperial media would sound off, “THERE ARE ENEMIES AT THE GATE.” The Imperium would see a mass rise in participation and the machinery of war would click into place. There would be a series of spectacular battles. In the end, the Band of Boneheads would lay strewn about broken and trampled underfoot. Imperium members would look at the killmails in satisfaction and be ready to happily AFK a few months having proven their EVE supremacy. One of the reasons that the Imperium fell so badly for Gobbins’ ruse cruise was that he was feeding them exactly what they wanted to believe. On the other hand, outsiders would love nothing more than to watch the Imperium implode. The Imperium has a nasty habit of trampling these guys underfoot. They get a little salty after they get stomped on enough. These outsiders craft a narrative that the Imperium is a content vacuum. They claim that Imperium members will only get good content by fighting each other. This totally ignores the fact that a small contingent of the Imperium can sally forth to a distant land and reap content while retaining all the benefits of membership of the behemoth. A variation on this is something like, “Let’s you and him fight.” Outsiders with no stake in either group clamor for Pandemic Legion to take on the Imperium. Outsiders would love to see the two most powerful groups at each other’s throat. They would love to see both groups sweat blood and tears and ISK in a struggle. They would love to see both groups weakened by the fight, or for one group to wipe out the other. Whichever group was broken would leave a vacuum for the smaller guys to expand. The seat of power in the Emperium comes with the perk of monetization. It’s good to be the king. Now this is fine under the EULA, but people wonder if it is ethical or not. My stand is that people are voluntarily choosing to donate to the Mittani’s streams, projects, and so on. They are not getting ISK for supporting him. They are paying for his efforts to provide entertainment. This is totally legit. It is good for EVE. It is good for the community, even when it badmouths the community, because it draws in attention. What is actually more amusing is the Rome analogy. There are only so many people who can sit in the inner circle and draw a salary. Unseating Mittani from his central position would be very hard, but even now the inner circle sees coups and upsets. Lesser figures come and go. All the juicy drama among the “shareholders” sits in for the Roman corruption. 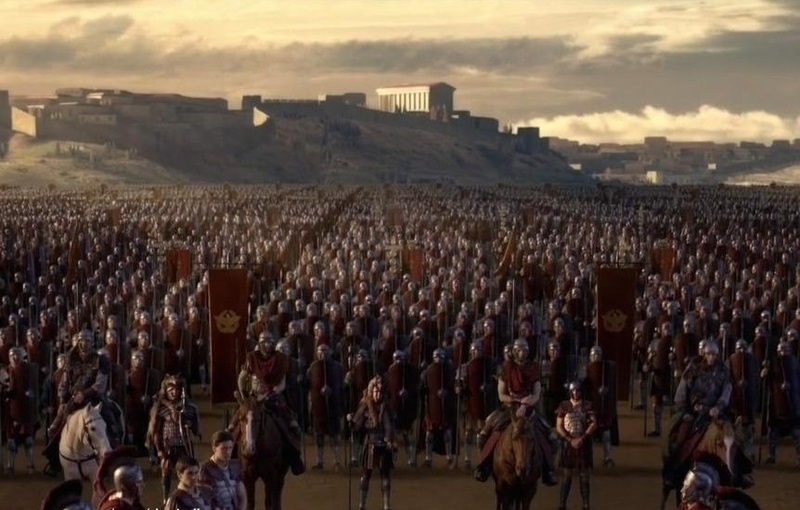 Rome fell in large part because generals came back from the frontier with their armies and made themselves emperors. Every time this happened it weakened the defenses of the empire. 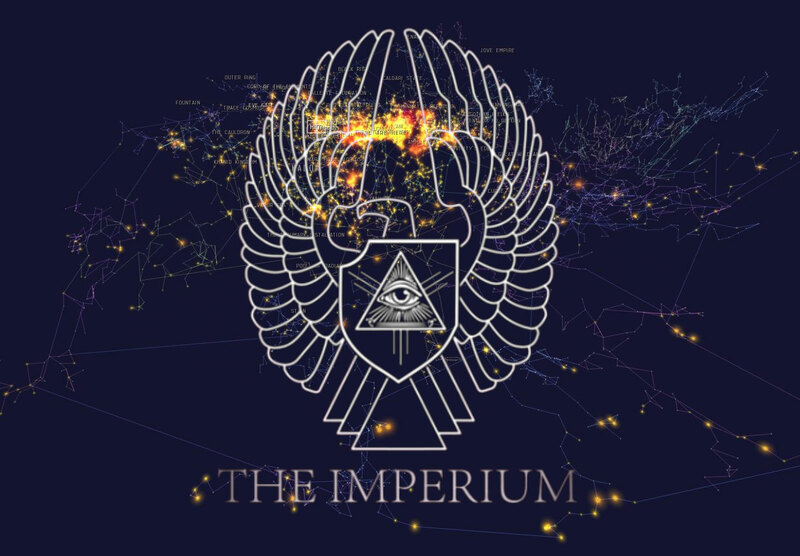 Every time there is a falling out among the sharholders of themittani.com and some people get kicked off the bus, it weakens the cohesion of the Imperium. Who knows? If the right person gets angry enough we may get to pull out the fiddles. *An error that stated the Peloponnesian war instead of the Punic war has been corrected.